Ravi Pendakur is an associate professor of sociology at the University of Ottawa. Prior to joining the University of Ottawa, he spent 18 years as a researcher in a number of federal government departments including, The Secretary of State, Multiculturalism and Citizenship, Canadian Heritage, and, Human Resources and Social Development. His primary research focus is on diversity, with a goal towards assessing the socioeconomic characteristics of language, immigrant and ethnic groups in Canada and other settler societies. Much of his research has been quantitative in nature, using a variety of data sources including census and other micro datasets, immigration intake records, and special surveys to measure group differences. Recent work has attempted to study the relationship between interaction and participation (social capital) and ethnicity. He has also looked at the degree to which Canadian-born minorities face earnings gaps in the labour force. His current research interests lie in linking social capital attributes to outcomes for minorities in Canada, the United States and Europe. His goal is to explore the interrelationships key to social inclusion – those of social separation, social interaction and social and economic outcomes. He is interested in the consequences of a series of key social choices: living and interacting within or outside an ethnic group (social capital), living within or outside a residential ethnic enclave and the impact these interactions have on social outcomes such as wellbeing and occupational success. These issues will be explored from an interdisciplinary, historical and international comparative perspective. 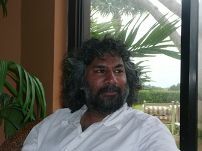 Ravi Pendakur joined CReAM as an external fellow in January 2011.